A great pair of boots is determined by many factors that include fit, comfort, style, and the purpose of use. With so many selections from which to choose it is wise to learn some basic facts about boots before you purchase. Whether you need them for hiking, working, or leisure activities, let’s explore the 4 top design features to consider when shopping for your next great pair of boots. Who says tough boots can’t also be a great pair of boots that make a fashion statement as well? To determine whether a pair of boots has all the right style, accents, and features, do your research about the different types of boots to ensure that you get the right ones for your lifestyle. For example, the packer boot has a distinctive style with its high lace-up shaft and tapered western-style heel. The engineer boot is a traditional work boot with buckle features. The buckles come as decorative or bare bones as you prefer. The cowboy boot is known for its decorative and brightly colored stitching. So, the first thing to do is decide when, where, and how you will wear your boots. Then, start shopping for your next great pair of boots. When you select boots it is important to ensure that they have a cushion in the sole so that they are as comfortable as possible. With a quality pair of cowboy boots, they are expected to conform to your feet as you break in the boot. We recommend that you check out the Justin Boots collection at Russell’s Western Wear which comes with removable orthotic inserts. These are part of the J-Flex Flexible Comfort System insole, which provides plenty of support to make your boot comfortable for those long days of wear. A quality boot should also have plenty of ankle support. Boots are heavier than most shoes, and this weight can be hard on your ankles without the right support. The boot’s structure should include padded sides, laces to the top, and an overall sturdy construction. To prevent slipping, a quality boot should have deep lugs. Lugs are the channels that run through the rubber outsole of the boot. Their size and depth determine how well they grip. Traction is especially necessary for hikers, workers in wet conditions, and those who live in cold climates. Other than deep lugs, a solid sign that a boot has good traction is the presence of a heel brake. This type of heel stands out from the rest of the sole, providing protection on uneven terrain and sharp descents. You want to make sure your boots will stand up to the elements of water, heat, and wear and tear. Boots should be designed to withstand tough conditions. Whether you bought them for work or fashion, they should fulfill that expectation. One feature to look for is waterproofing. To determine this, look for gusseted, or thickly lined tongue and waterproof materials in the shaft. The fabric of the boot should be strong enough to be scratch and tear resistant yet still flexible enough for easy movement and prolonged durability. Whether you need a great pair of boots for work, play, or simply a casual fashion statement, we hope these suggestions help you. 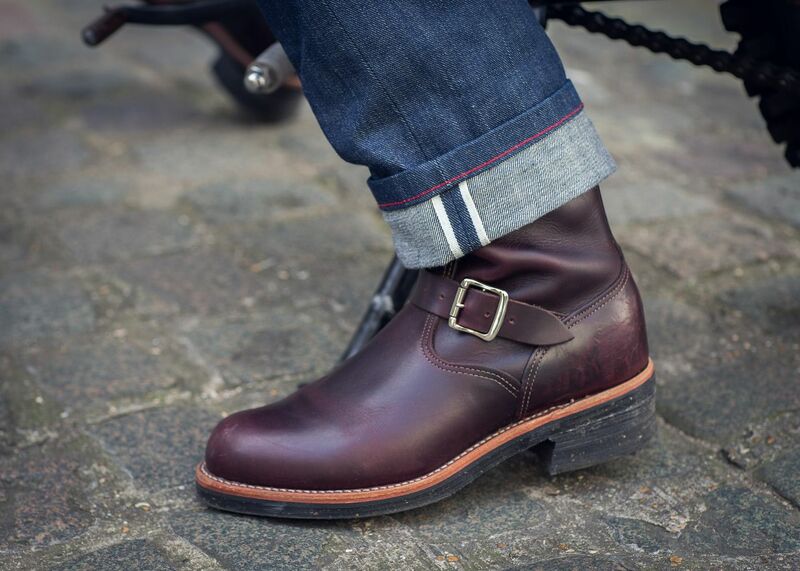 First, determine the purpose of your boots, then choose the right style accordingly. Second, it’s important to wear boots that are healthy for your feet, so always shop for comfort. Third, get the right traction for the right job. Fourth, ensure the boots you select are durable enough for the job. Follow these steps to make a fantastic selection the next time you go shopping for your next great pair of boots.